In Morocco, the pleasure of eating food is equal to the pleasure of sharing it. Morocco produces a large range of Mediterranean fruits and vegetables and even some tropical ones. Common meats include beef, mutton and lamb, chicken, camel, rabbit and seafood, which serve as a base for the cuisine. Bread is eaten in every meal and they also cooked most of their meals in the Tagine. Tagine is a earth-ware pot. As you can see the picture above is known as Tagine. 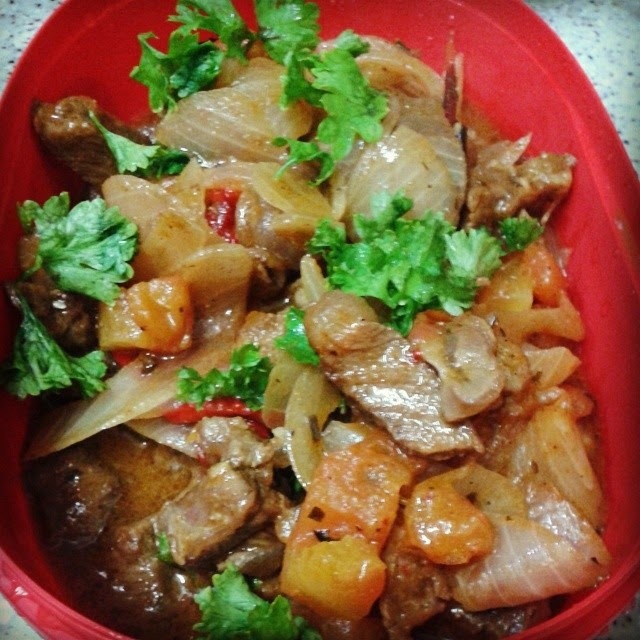 I'm sharing this delicious meal that I've learned from my new recipe book...Lamb with Tomato & green Capsicum. We love lamb very much! 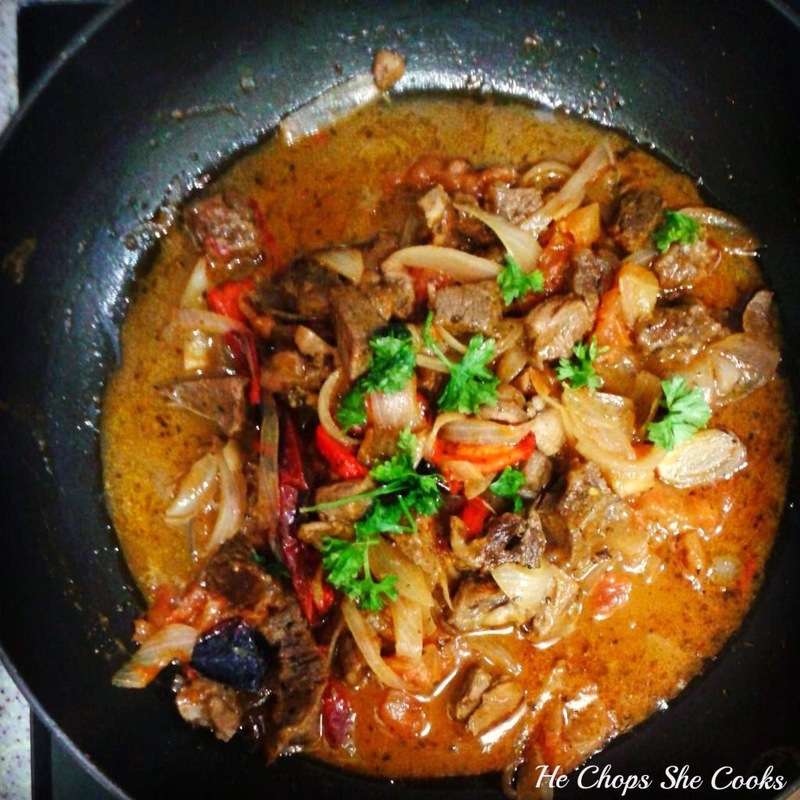 Its very juicy and fulls of flavors when you cooked it with variety of ingredients. Roast the capsicum until skins blister and blacken (about 15 minutes). Place in a bowl, cover with plastic wrap and set aside to sweat and cool slightly. Peel the capsicum and discard the seeds. Slice into thick length, heat the oil in a medium -large saucepan over medium heat. Add the lamb, onion, garlic, spices and salt and cook for 5-10 minutes, stirring occasionally, until the lamb is browned and spiced fragrant. Add the tomato and pour in 1 1/4 cup water or stock and bring to the boil. Reduce the heat to low, cover and cook. Pour the remaining stock and lemon juice. Arrange the capsicum around the outside of the lamb and scatter with parsley. Cover and cook for a further 30 minutes or until the meat is tender. Serve with Pita bread or warm rice will do. Wat a delicious,droolworthy and mouthwatering dish, seriously hard to resist.